If you just can't get enough NFL football on Sunday, Monday, Thursday, occasionally Saturday, and also on major holidays, then there are worse ways to spend your money than EA's Madden franchise. And if you still can't get enough, you can bring that video game football experience with you everywhere (sort of) via the official companion app. The latest version for the "2017" edition includes most of the features you'd expect, with a heavy emphasis on the game's Madden Ultimate Team mode. It's football season in America, and that means just one thing: a lot of very rich people are going to spend the next five months getting slightly richer. Oh, and a lot of people are going to have fun watching sports. Or playing them, as the case may be: Madden NFL 25 just landed in the Play Store. 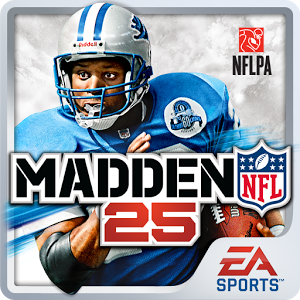 That's 25 as in the 25th anniversary of the first Madden video game - this year's release would otherwise be called Madden 2013 or similar. 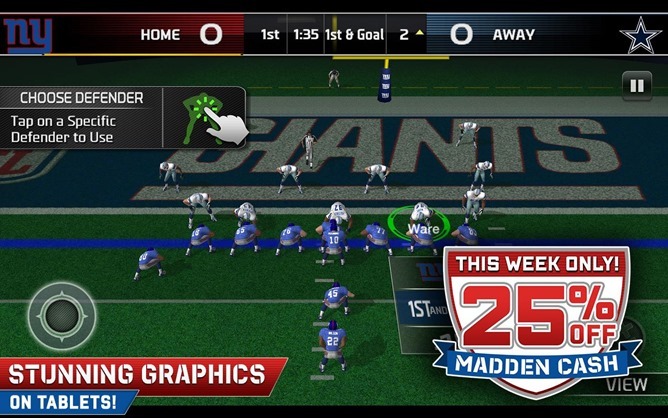 Madden 25 mixes things up with a new control system, offering either the classic console-style joystick controls or new swipe controls. If you're the type of person who likes Madden, yet somehow managed to not purchase it four weeks into the season, I've got good news! 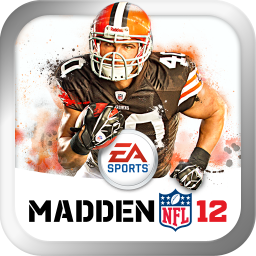 From October 1st-3rd, Verizon customers can download Madden NFL 12 for the low, low price of "free." How you download it is a little bizarre, so listen up: You call -- that's right, call -- **MADDEN. That's "[Star] [Star] 623336", and somehow that will start the download. The instructions aren't very specific. Whoever wrote the press release decided obvious football puns were more important than clarity. The press release mentions something about "VCast Apps," so don't be surprised if you are asked to download yet another app store. 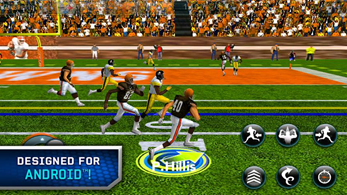 If you've been waiting for the chance to "feel the excitement of NFL Football, anytime, anywhere," then you're in luck - EA Sports has just released Madden NFL 12, the first Madden game to land in the Android Market. Bringing impressive animation, smooth controls and a host of real NFL teams and players, this game promises to bring everything you love about EA's Madden line to the palm of your hand. 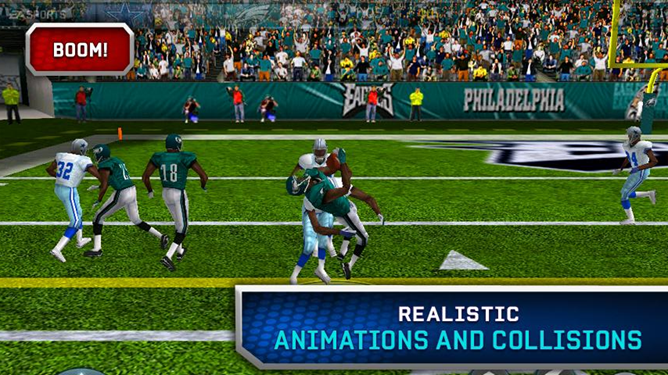 Madden NFL 12 also brings playbooks, stat tracking, and the ability to play through a 16-game season or seasonal playoffs. 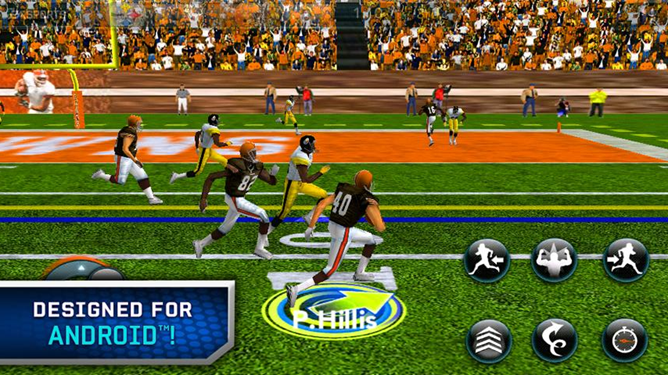 At $6.99, Madden 12 is a bit on the high-side, but at least it adds one more entry to Android's selection of quality games.